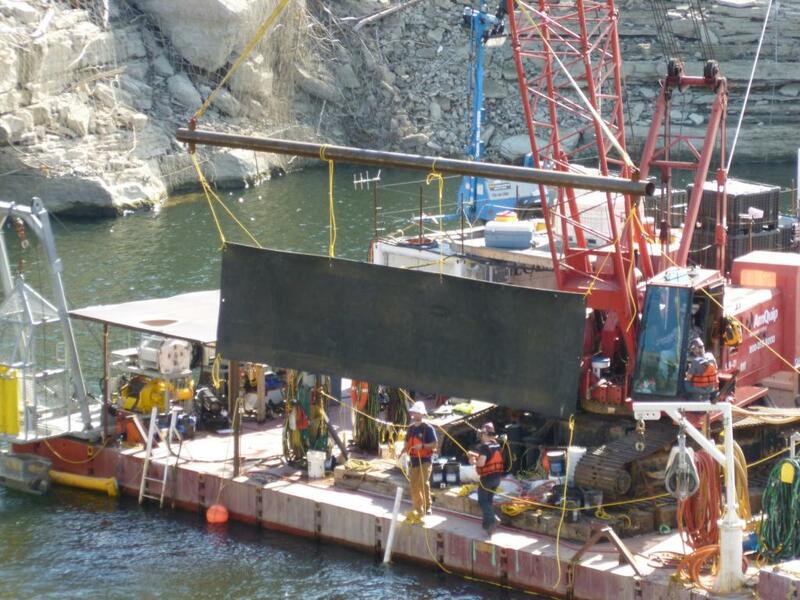 Dix Dam Face Slab Repair - Global Diving & Salvage, Inc. Upon its completion in the mid 1920’s, Dix Dam was the largest rock-filled dam in the world, standing approximately 287 feet above the riverbed. 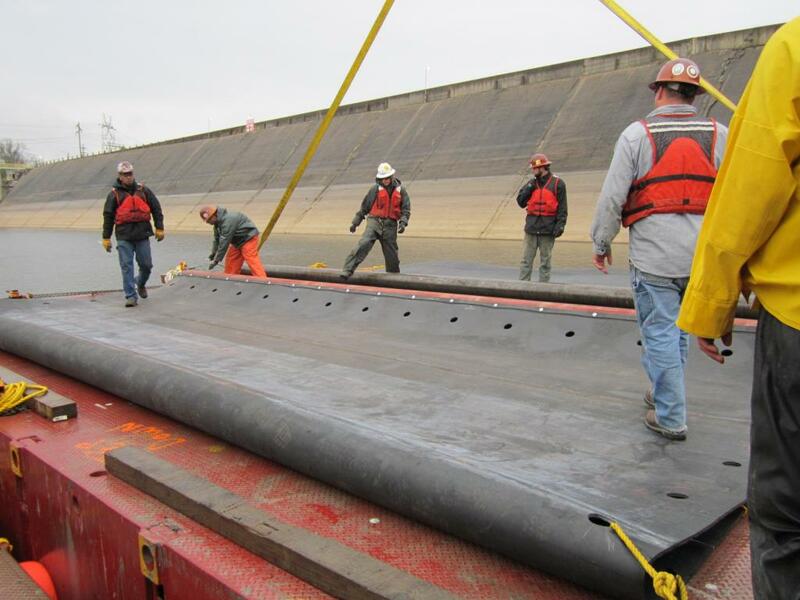 It was built in the private sector by its current owner, Kentucky Utilities Company, to create a reservoir for operating a hydroelectric generating station. 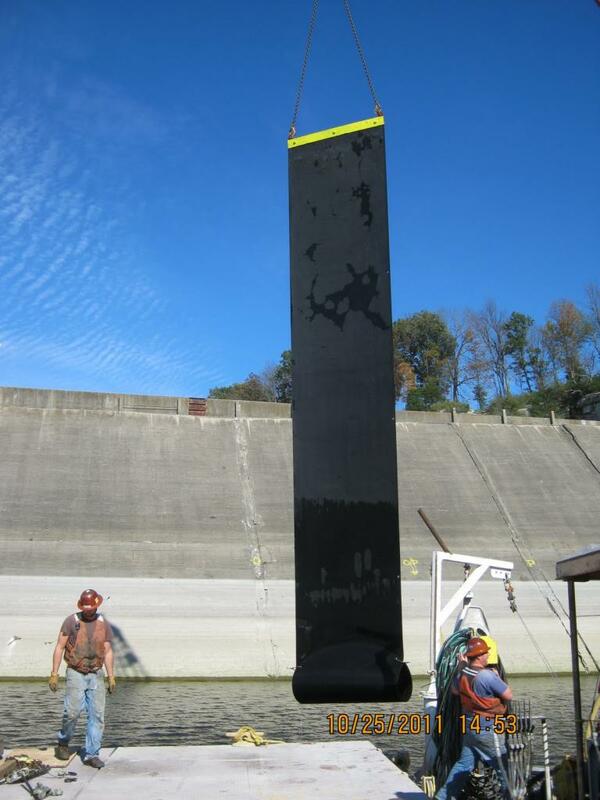 Global was selected to perform and manage face slab repair work to the existing earth-filled dam. 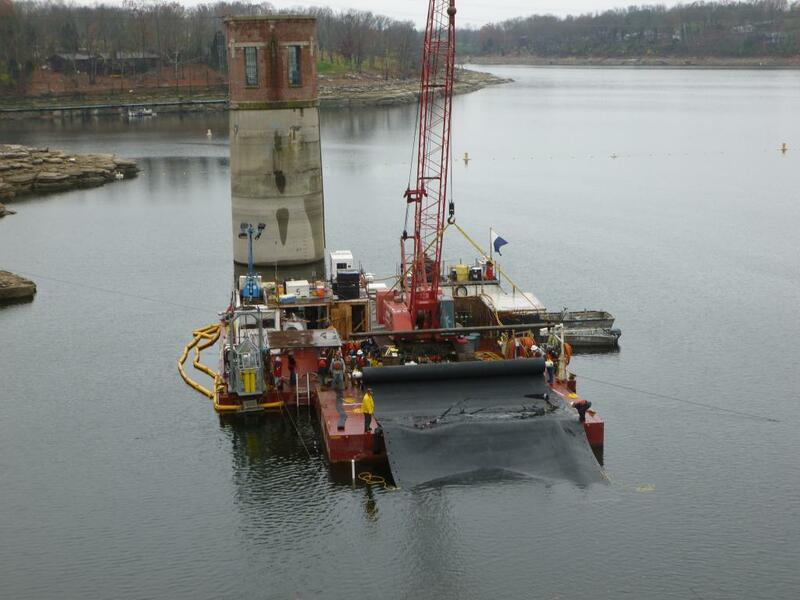 Divers removed debris including cars, trees, and sediment from several areas of the dam. These areas were then surveyed using sonar and tactile methods. 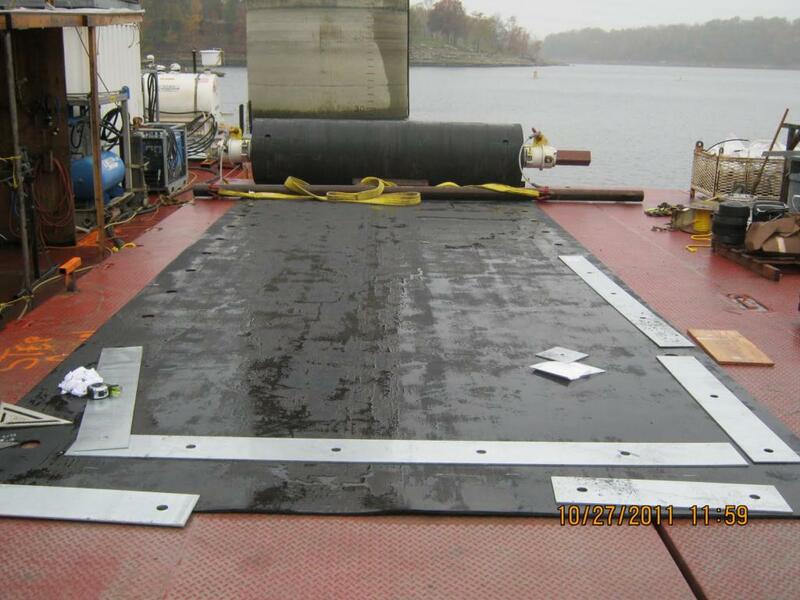 Damaged areas of the face slab were covered using sheet membrane secured to the face of the dam. Work took place in up to 140 feet of freshwater.